This week was a struggle. I guess with Christmas coming up our time is stretched to other things we do not normally do. Being time challenged I delved into the archives for a picture that I thought might come up nicely in black and white. 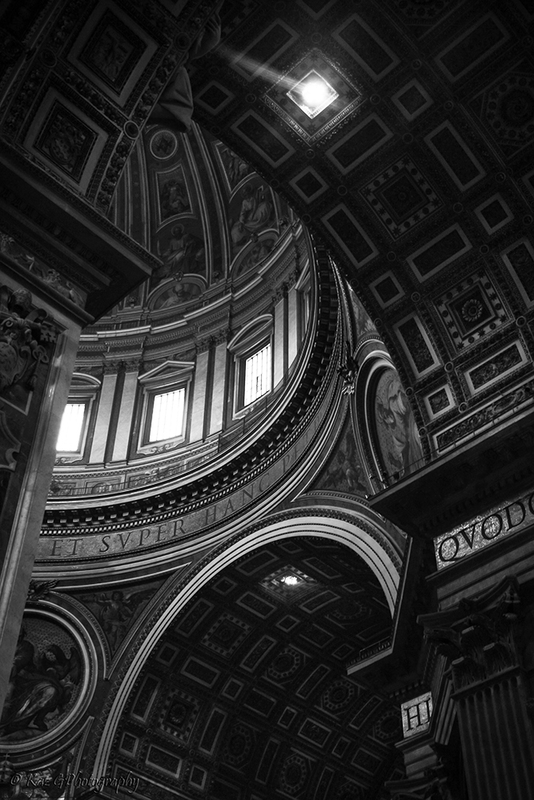 I chose St Peters Basilica in Rome with a picture of the ceiling with its amazing arches at different levels and angles and the patterned ceiling. It comes up quite interestingly in black and white which shows the architecture at its best with the curves and patterns standing out. 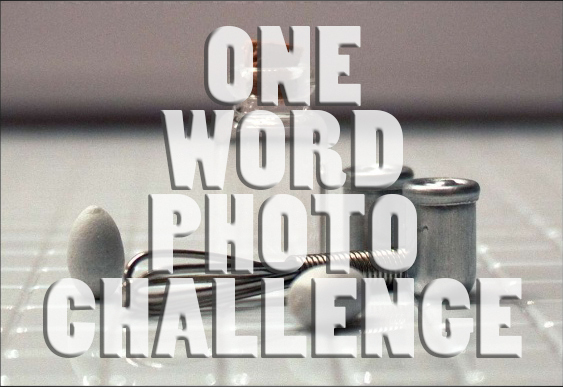 For some wonderful black and white photos go to Leanne Cole’s blog where she and Laura Macky host this wonderful challenge. Yours was one of the five or so that stood out to me the most–absolutely stunning composition and contrast! This really works in BW Kaz. Everything is brought into view perfectly by the monotones. I agree with Sabina! All are perfect in this photo! Superb capture, with stunning lines and patterns, Kaz. fantastic architecture and photo Kaz!